Air Con Essex Comfort Conditioning are an air conditioning company based in Romford, Essex. We offer everything from professional installation to expert servicing and repairs. With years of experience and technical knowledge, you can trust us to provide a premium service tailored to your specific needs at competitive prices. Air Con Essex Comfort Conditioning provide service and maintenance contracts throughout London, Essex and Kent. We know keeping your expensive air conditioning running well and efficiently is not only important for the running of the equipment, but for the cost of running them. A poorly maintained system can increase running costs by up to 30% and if left even longer can cause damage to your units so inevitably costs more to repair than a regular Maintenance visit. It is recommended that air conditioning systems be professionally checked, cleaned and serviced at least once a year, especially at the beginning of summer or winter when your units will be changed between cooling and heating modes as this is when bacteria and contaminants will have the chance to build up and multiply. At Air Con Essex Comfort Conditioning, we professionally design and install air conditioning systems tailored to your specific needs. Whether you’re a business customer or residential we will be there every step of the way. We install a vast variety of systems for different spaces, from open plan offices, hotel rooms, retail stores or even simply for a summerhouse/garden office. No job is too small or big. We only use the best and well know manufactures and our fully qualified engineers will work with you to provide exactly what you want how you want it. Air Con Essex Comfort Conditioning are F-Gas Certified with The F-Gas Register. The F-Gas Register is appointed by the Department for the Environment, Food and Rural Affairs (DEFRA) under the Fluorinated Greenhouse Gases Regulation. We specialise in F-Gas Certification and F-Gas accreditation requirements, enabling Air Con Essex Comfort Conditioning to work within the air-con & refrigeration field to comply with the latest F-Gas Government legislation and laws with minimum hassle and inconvenience. We work very closely with Air Con Essex Comfort Conditioning and the Environment Agency & DEFRA and this means that you can be sure all of the F-Gas Certification information & guidance you receive from The F-Gas Register is the most relevant and up to date. F-Gas regulations have been implemented in association with Air Con Essex Comfort Conditioning in order to contain, prevent and thereby reduce emissions of f-gas fluorinated greenhouse gases. 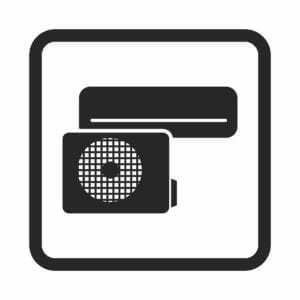 The F-Gas Register is specifically for businesses such as Air Con Essex Comfort Conditioning working with F-Gas refrigeration, air-conditioning and heat pump equipment containing or designed to contain fluorinated greenhouse gases.